Hundreds of people gathered in the centre of Cambridge today to pay tribute to physicist Stephen Hawking, as around 500 guests – including family, friends and academic colleagues – attended a private funeral at Great St Mary’s Church. Professor Hawking’s coffin, decorated with an arrangement of white “Universe” lilies and “Polar Star” roses, was carried into the church by six porters from Gonville & Caius College, where Hawking was a fellow for more than 50 years. As they approached the church, the spectators lining the streets broke into a round of applause. When the funeral procession entered the church, the bell rang out 76 times, one for each year of Hawking’s life. His family, including his three children, followed the hearse which was carrying his coffin. Stephen Hawking – a former Lucasian professor of mathematics, and one of the world’s most famous scientists – died in Cambridge on the 14th of March, having survived over 50 years since his initial diagnosis with amyotrophic lateral sclerosis (ALS), also known as motor neurone disease. His life and legacy have received praise from around the world, and thousands of people have signed a public condolence book at Caius. Actor and Cambridge graduate Eddie Redmayne, who in 2015 won an Oscar for his portrayal of Hawking in the biopic film The Theory of Everything, addressed gathered mourners inside the church, reading a passage from Ecclesiastes: “For everything there is a season”. Hawking’s eldest son, Robert, gave a eulogy honouring his father both as a physicist and a man. 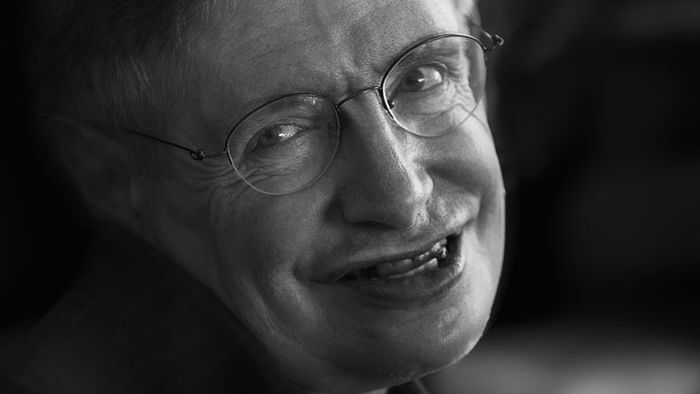 Music at the funeral included performances by Caius College Choir, and Beyond the Night Sky, a work specially written by Caian composer Cheryl Frances-Hoad to celebrate Hawking’s seventy-fifth birthday last year. Despite Hawking’s atheism, the funeral was a Church of England service, including hymns such as ’To be a pilgrim’ and ‘Jerusalem’. After the funeral, a private reception was held at Trinity College. Hawking’s ashes will be interred at Westminster Abbey, next to the grave of Sir Isaac Newton, in June, following a service of thanksgiving.